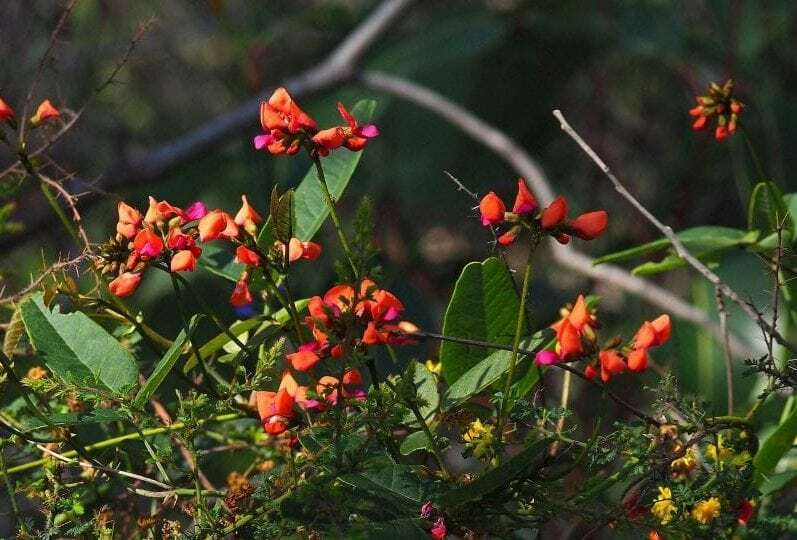 As our weather changes into Spring (or the Nyoongar season of Djilibi), you can go out every week and see something different flowering in our Perth bushland. being on the edge of the Darling Scarp. Here you will first notice bursts of fluorescent yellow and soft whites of Acacias, Hibbertias, Hakeas and Grevilleas carpeting the ground. If you look closer you will see a combination of blues, purples and reds speckled throughout the woodland. Enjoy the orange / red Coral Vines, draped over Grass trees and various other plants. Keep an eye out as the Blue Fairy Orchid and the Purple Enamel Orchid. Visit Bungendore Park in the Wungong Regional Park in Bedfordale. 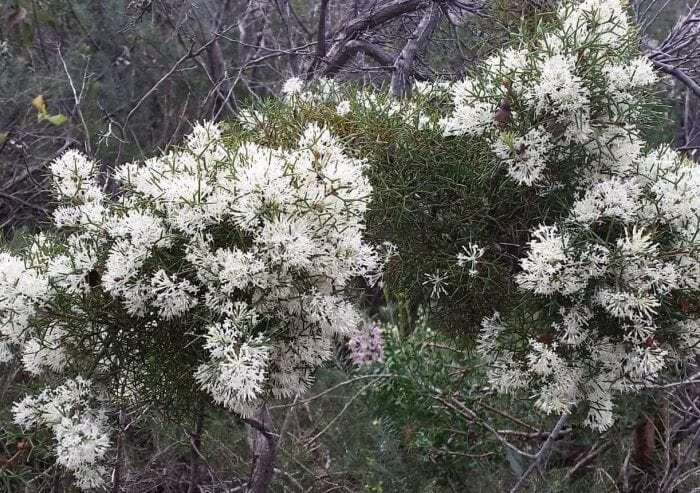 This bushland treasure is cared for by the Bungendore Park Environmental Group. You might also visit John Forrest National Park 25 km east of Perth, in Hovea. This fabulous bushland is also on the edge of the Darling Scarp, and with access from the Great Eastern Highway. Now and into October are the best months to see native vegetation in full flower. At the moment, Jane Brook and the waterfalls are flowing well. This park is well set up for visitors. There have been major infrastructure improvements this year. These include disability access bridges, new information boards and signage for walks as well as new picnic tables and barbecues. It is a very popular picnic spot for locals and tourists alike. John Forrest National Park is a Bush Forever site and it is cared for by the Friends of John Forrest National Park. Enjoy our bushland treasures. Why not visit one of these places next weekend? Take an interest in protecting our very fragile and precious natural environment. In addition, you could join one of our member groups, attend one of their walks or become a supporter of the Urban Bushland Council.